In March 2017 we took over the grand halls of Bristol Museum & Art Gallery for an immersive, adult only adventure inspired by the heroes and monsters of the Old English poem of Beowulf. See the film of this contemporary take on the 1000 old epic, with rap battles, music and animation, aimed at introducing the museum to a new audience! 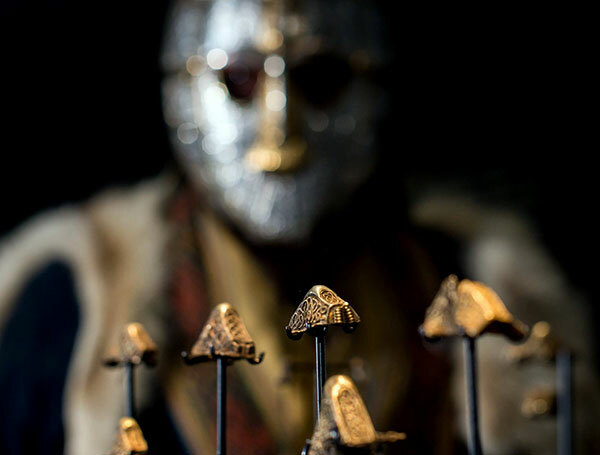 The show was created to complement the Warrior Treasures exhibition of Saxon gold from the Staffordshire Hoard, and experts were on hand to illuminate Anglo-Saxon life, culture and gold during breaks in the action. Tom Stubbs, with Michael Smith & Joff Winterhart – Creating artistic response to theme of Monsters.